Do Something For A Veteran! Greetings on this 2009 Veterans Day! I generally let my music do the talking but on behalf of the thousands of Veterans in need of a place to lay their head each night AND the thousands if not millions of Veterans with no real access to quality health care, I am writing to request your help. General Shinseki has made some recent improvements and based on the half dozen press releases during 2009, he is well aware of the key challenges facing our ever-growing Veteran population. It's simply not enough. There are so many small things that we can each do to make a daily difference in the lives of OUR Veterans. A ride to the VA or a bag of groceries will make the difference. If you are an employer, how about looking for a few Veterans to fill the gap? I read about a family in Denver that opened their home to a Navy Veteran and there are programs like this all across America. Please investigate. Times are tough! I know, I know! So why not give the gift that requires nothing more than your time. 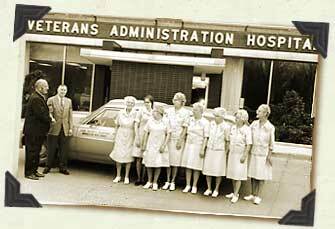 Visit a VA hospital and volunteer for a day. The experience will change you. It will absolutely change you. It will help them and it will help you! I am honored to work with scores of dedicated VA staff across America and proud to witness the level of sincere respect and compassion they hold for OUR Veterans. The Politicians are the creepy ones in this equation and until Washington receives a thorough enema, no President, no Congress and no General will have the power to transform our VA to the level of quality befitting our Veterans. Thank you for listening and thank you for every little thing you might do to help.